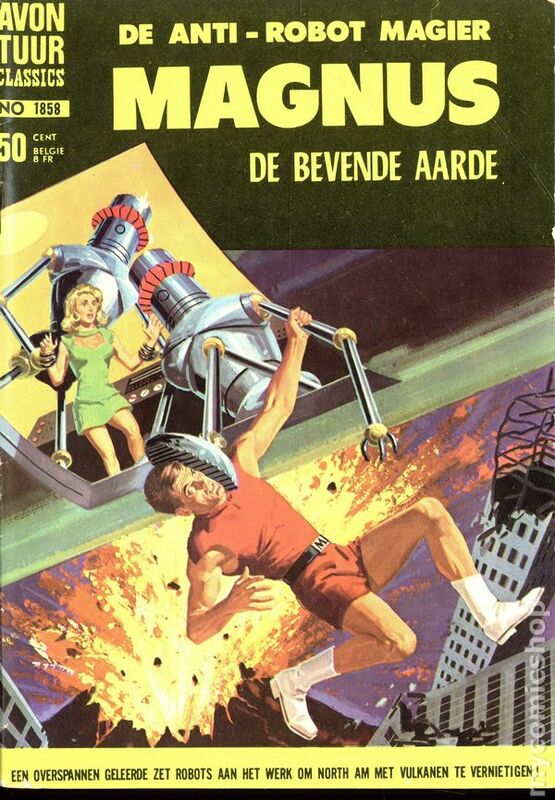 Dutch Edition - Russ Manning Art - Reprints Magnus Robot Fighter #3 (Gold Key) - 32 Pages B&W Cover price $0.50. 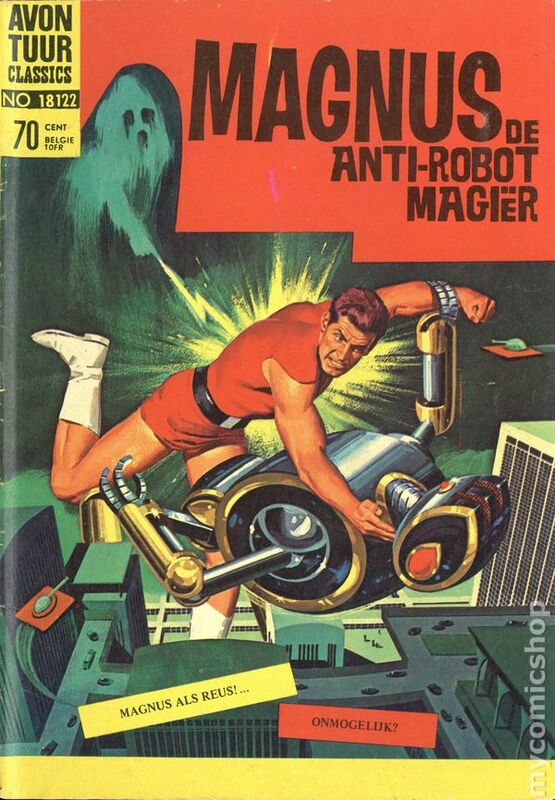 Dutch Edition - Russ Manning Art - Reprints Magnus Robot Fighter #5 (Gold Key) - 32 Pages B&W Cover price $0.50. 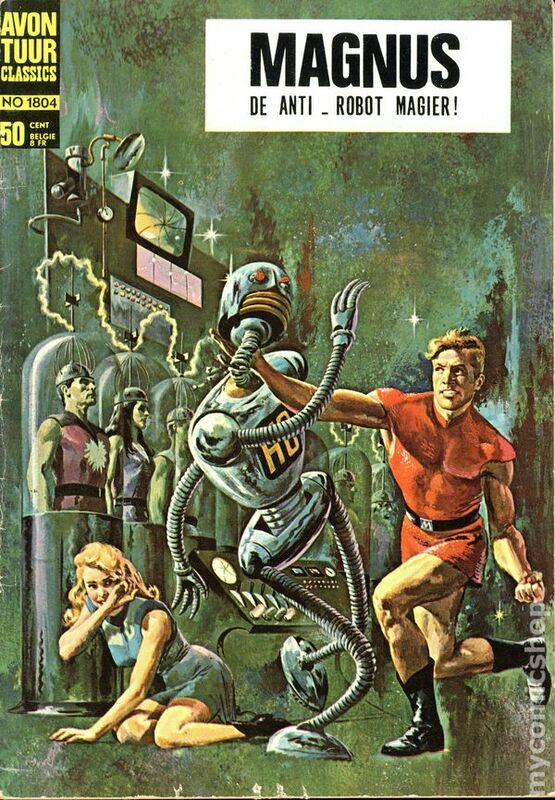 Dutch Edition - Russ Manning and George Wilson Art - Reprints Magnus Robot Fighter #7 (Gold Key) - 32 Pages B&W Cover price $0.50. 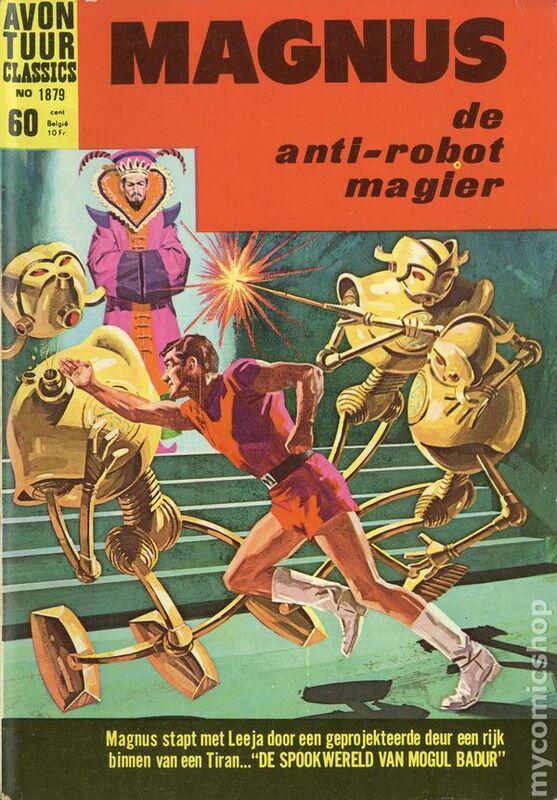 Dutch Edition - Russ Manning and George Wilson Art - Reprints Magnus Robot Fighter #8 (Gold Key) - 32 Pages B&W Cover price $0.50. 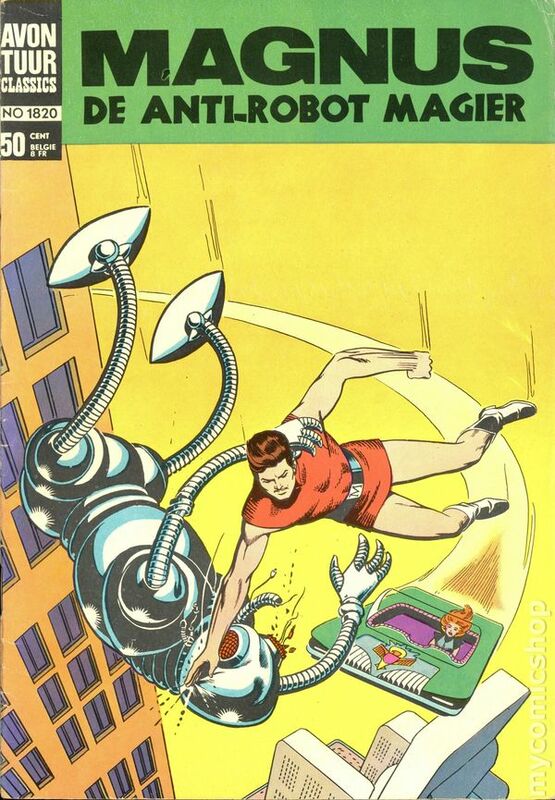 Dutch Edition - George Wilson Painted Cover, Russ Manning Art, Mike Royer Inks - Reprints Magnus Robot Fighter #12 (Gold Key) - 32 Pages B&W Cover price $0.50. 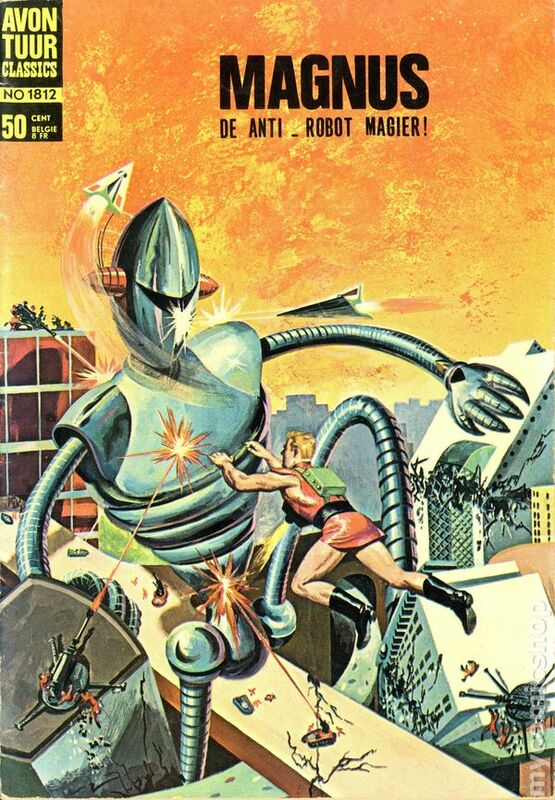 Dutch Edition - Vic Prezio Painted Cover, Russ Manning Art, Mike Royer Inks - Reprints Magnus Robot Fighter #14 (Gold Key) - 32 Pages B&W Cover price $0.60. 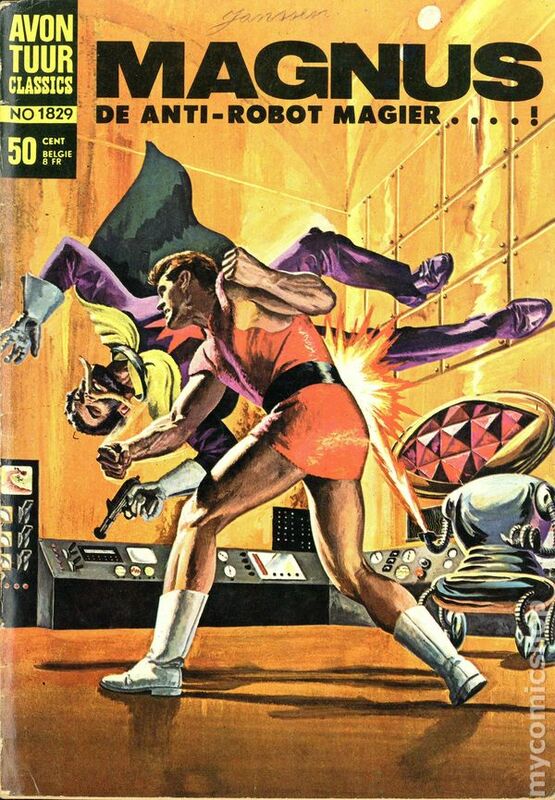 Dutch Edition - Vic Prezio Painted Cover, Russ Manning Art and Inks - Reprints Magnus Robot Fighter #15 (Gold Key) - 32 Pages B&W Cover price $0.60. 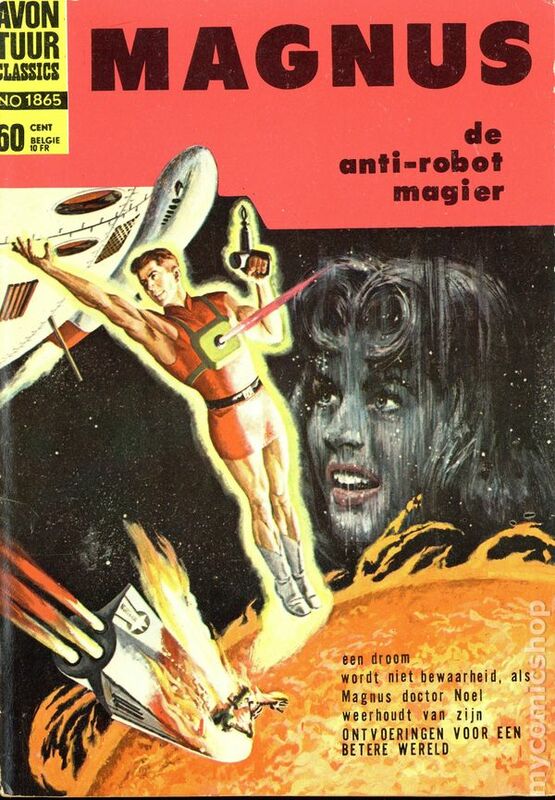 Dutch Edition - Vic Prezio Cover, Russ Manning Art - Reprints Magnus Robot Fighter #16 (Gold Key) - 32 Pages B&W Cover price $0.60. 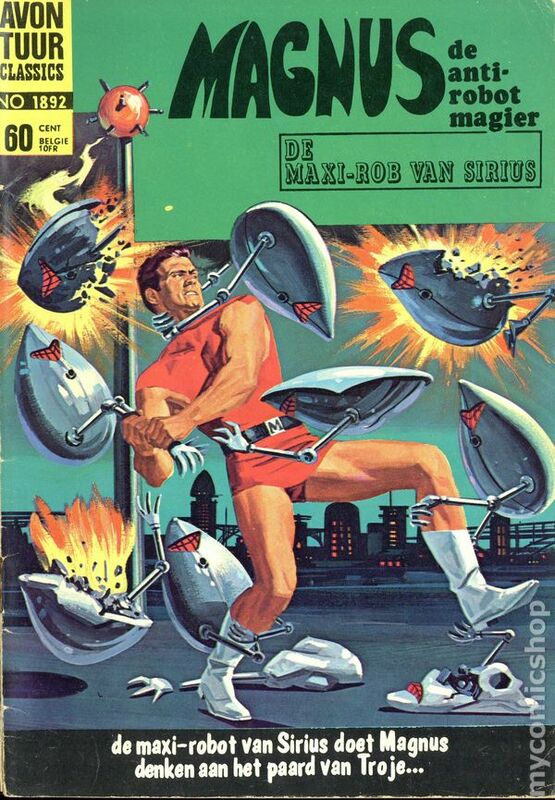 Dutch Edition - Vic Prezio Cover, Russ Manning Art - Reprints Magnus Robot Fighter #17 (Gold Key) - 32 Pages B&W Cover price $0.60. 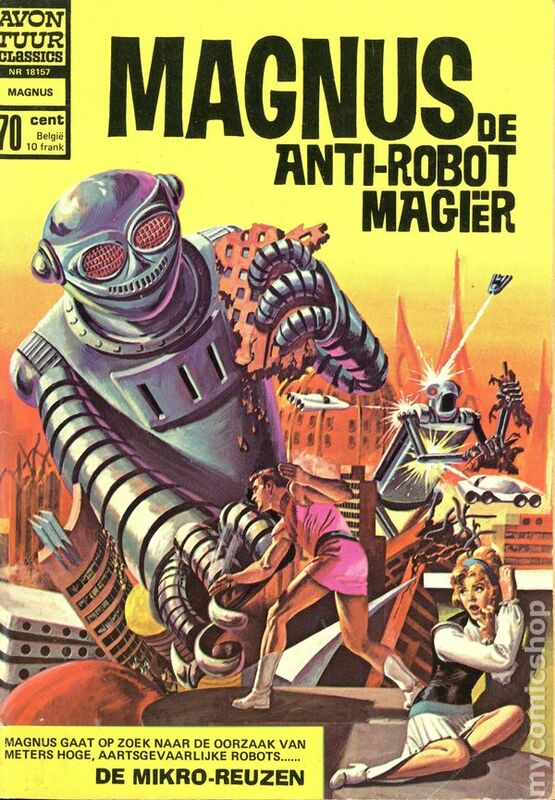 Published 1969 (est.) 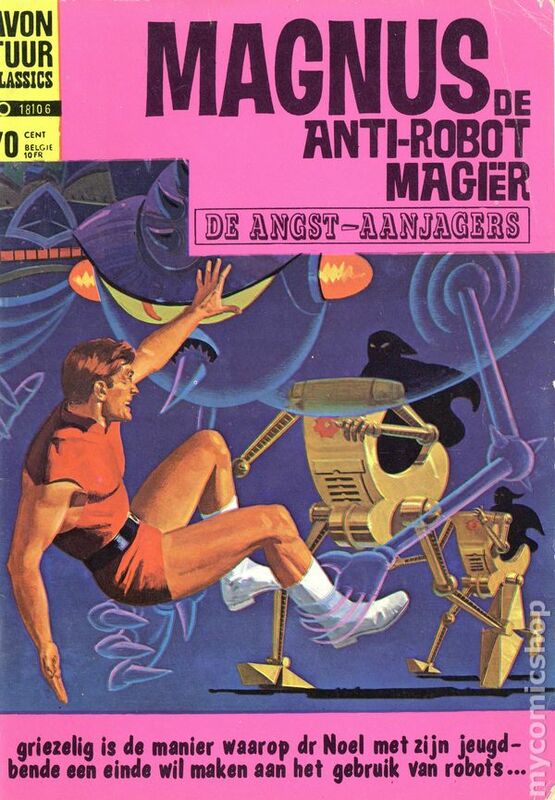 by Classics Nederland. 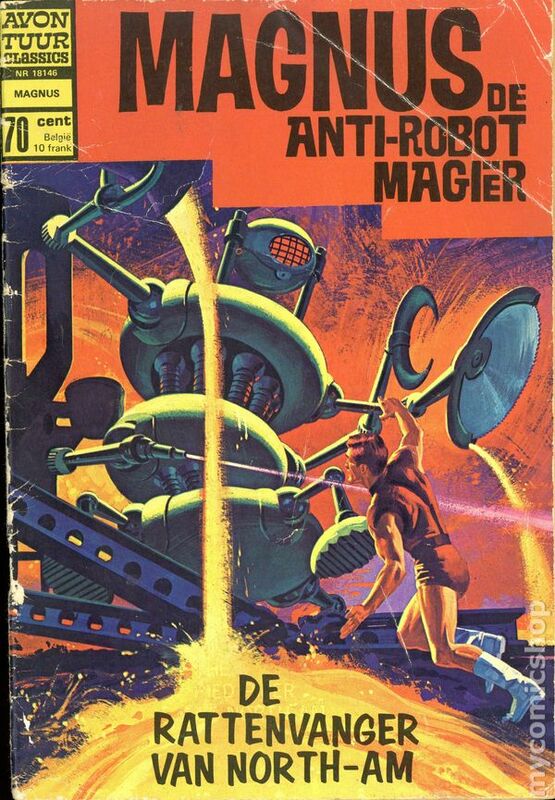 Dutch Edition - Vic Prezio Cover, Russ Manning Art - Reprints Magnus Robot Fighter #19 (Gold Key) - 32 Pages B&W Cover price $0.70. 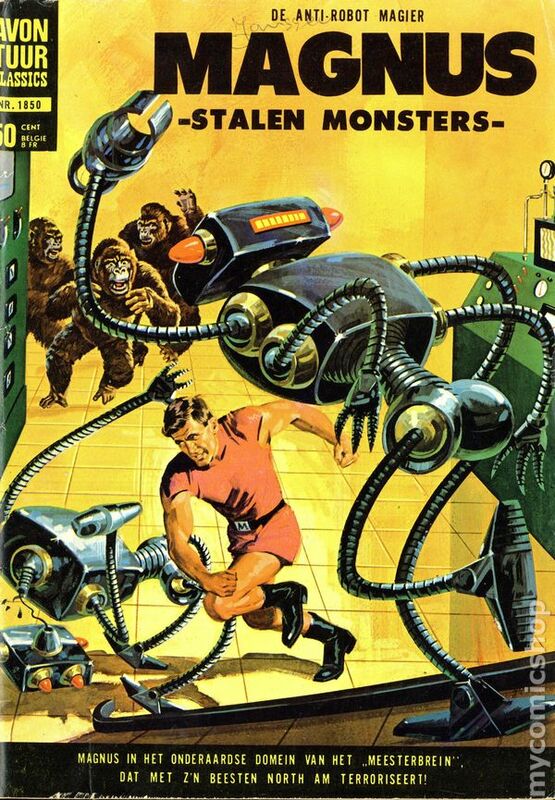 Dutch Edition - George Wilson Cover, Russ Manning Art - Reprints Magnus Robot Fighter #20 (Gold Key) - 32 Pages B&W Cover price $0.70. 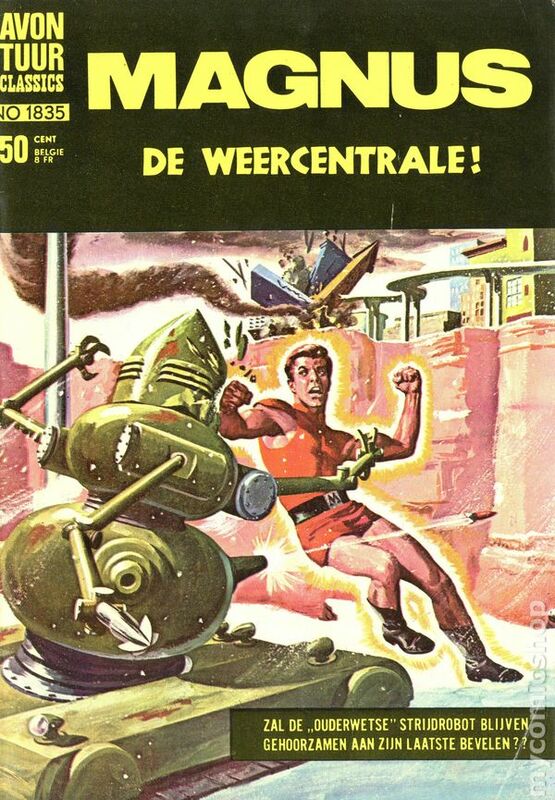 Dutch Edition - Vic Prezio Cover, Russ Manning Art - Reprints Magnus Robot Fighter #21 (Gold Key) - 32 Pages B&W Cover price $0.70. 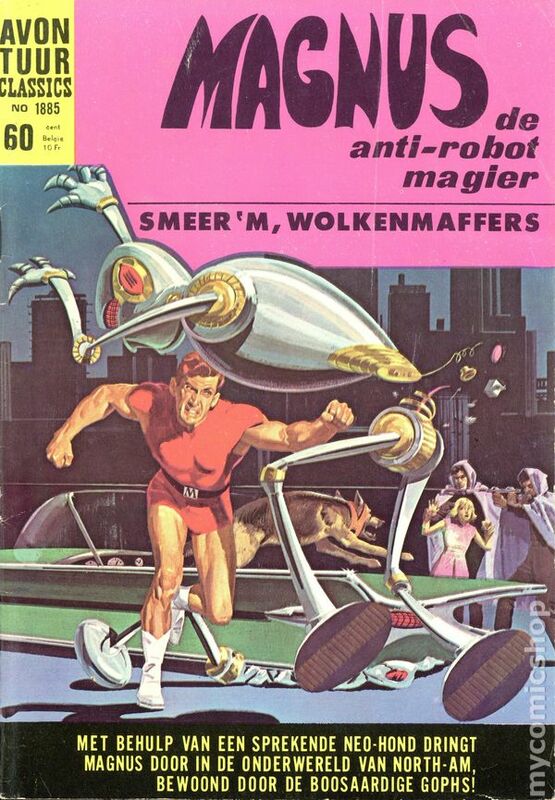 Dutch Edition - Painted Cover, Paul Norris Art, Mike Royer Inks - Reprints Magnus Robot Fighter #24 (Gold Key) - 32 Pages B&W Cover price $0.70. 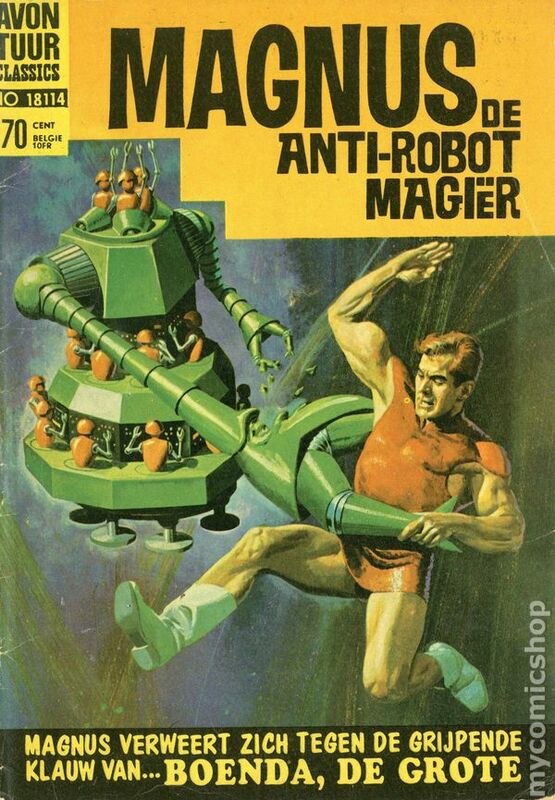 Published 1970 (est.) 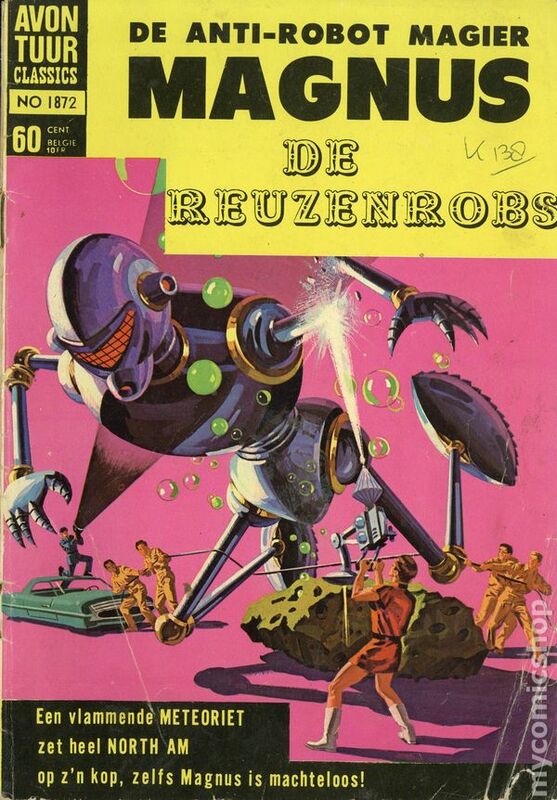 by Classics Nederland. 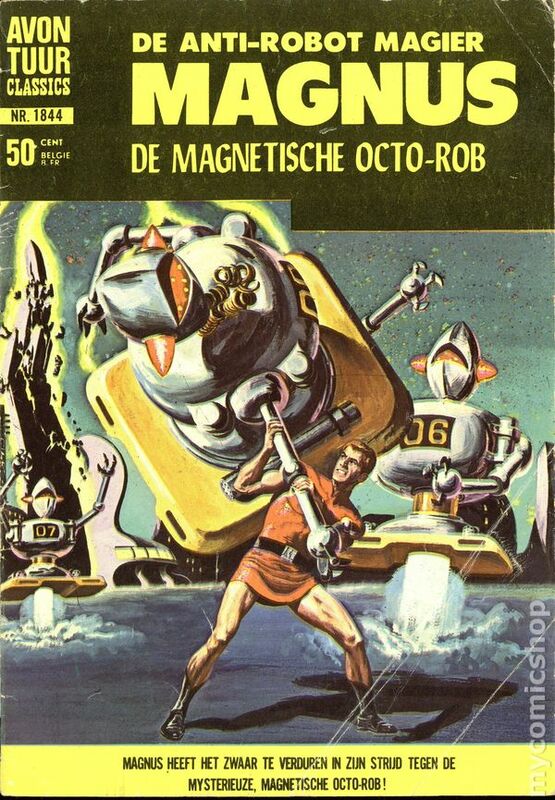 Dutch Edition - Painted Cover, Paul Norris Art, Mike Royer Inks - Reprints Magnus Robot Fighter #25 (Gold Key) - 32 Pages B&W Cover price $0.70.